I like the idea of exit tickets. I just never get around to them. I want to do a quick check of my student's knowledge. I just don't want to grade more papers. Now what should I do with it. Glad you stopped by: iDeas for iPads. 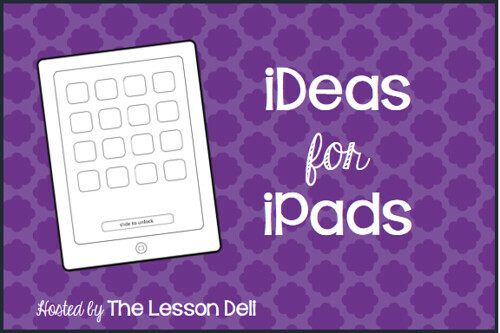 I've teamed up with The Lesson Deli ladies to bring you some ideas for technology in the classroom. You can also enter for a chance to win an iPad Mini!! I spent last year trying out some different apps. Some I liked and some I didn't. I mainly used my iPad for attendance, choosing who would be called on, picking groups, a timer for time tests, and other small things like that. 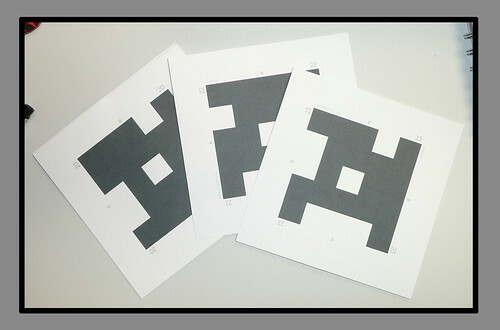 In July I came across a blog post from FlapJack Education about a site/app called Plickers. I checked out the Plickers site and a video FlapJack Education listed in their post. I thought I would give it a try. Do students need an iPad or smart phone? *No. The teacher needs one though. *The students need a card that has been assigned to them. 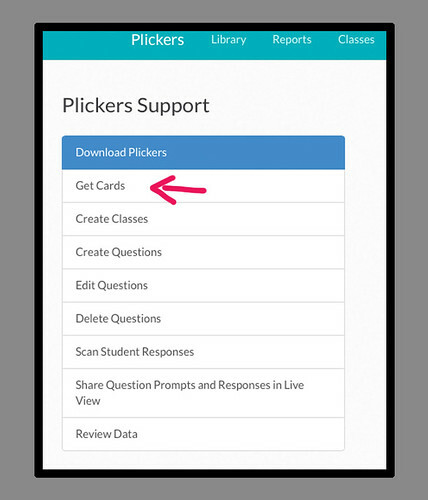 1) Sign up for a Plickers account on their website. This is free! 2) Go to class and a new class. 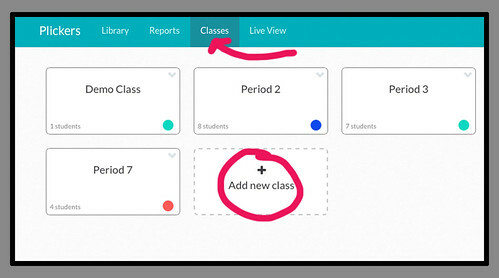 3) In your class, you will add each student. If you want to change the student's number, drag one from the "Available Numbers" box to the number the computer assigned. The number will then change. 4) Go to Help for help obviously, but it is where you can download your cards. 5) Go to Library to type in your questions and assign classes to the questions. 6) Download the Plickers App onto your iPad or smart phone. This is also free! 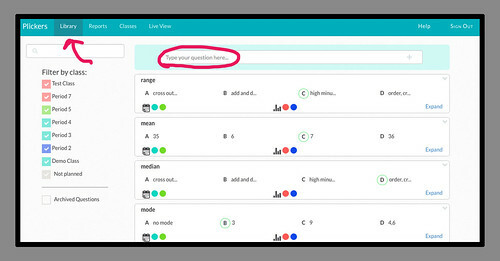 Your classes and questions should come up. **NOTE: I used their link on the help page. I couldn't seem to get it to come up through search in the App Store. You are now ready to use Plickers in your classroom. 1) The questions that you typed in online need to be available for kids to see. I do that through a power point. I only do 4 or 5 questions - nothing too long. 2) Give each student their assigned number. Explain to them a) answer choice should be at the top and b) don't cover up any of the black/white box area. 3) You can stand in one place and "scan" any card that is in the viewing screen on your iPad/smart phone. You do not need to do each one separately. 4) Have the kids put them face down once you've "scanned" their card. The gals at The Lesson Deli are giving away an iPad Mini to one lucky winner. Be sure to check out some other iPad ideas. This sounds amazing to me. I love the idea and want to try it! Thanks so much for posting about this! I heard about his app before but haven't tried it. Thank you for your tutorial! It sounds pretty easy to use! Woo Woo! My students would love this! What a neat way to do something that they normally hate... lol. I've heard about this from several teachers, but I have not tried it. I was thinking it would be time-consuming to go around and scan every child's card. I'm glad you said that you could have them all face you and you can scan them all at once. Genius! I am definitely using this. Thanks for sharing!